Totally Remodeled in 2019! OVER $150K in Upgrades and Improvements! Fully Inspected and in Perfect MOVE IN READY Condition! Zillow values this property at over $1.6M. Three certified appraisals value it over $1.4M . Average Market Comps by square footage place the value at over $1.5M. 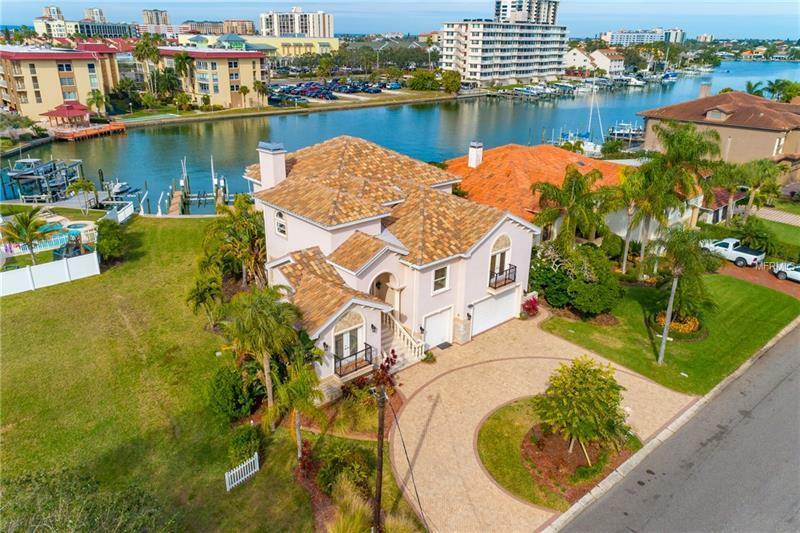 Pinellas County Property appraisal assesses this property at $1.288M. Here is your chance. This gorgeous 4 bed/3 bath 3850 +sqft home is beautifully maintained and only 12yo! Full Home Inspections Completed in March 2019. Stunning Water Views from Living Room and Master looking West. Huge oversized lot.26 acres with room to add on garages or a 1st floor Master Bedroom. Wonderful Outdoor Living areas to play swim fish or Boat. Freshly polished travertine marble floors follow throughout entire first floor into the family room/kitchen combo overlooking the beautiful water way. The light solid maple kitchen cabinetry (2018) includes all SS appliances new Panasonic Microwave (2018). Granite countertops throughout. Highly energy efficient house with Insulation in walls and floors. New back porch (2018) Two Trane 10kw/ 5kw 14 seer A/C units a Ranai Tankless Gas wtr htr Heat Wave pool/spa pump (2016) new pool pump (2019) new Tile roof (2016) new wood laminate flooring 2nd/3rd floors (2016) New Boat dock lift in 2016. New motors and cables. Has a larger deck12K# dbl jetski/boat lift to compliment the existing 13# lb main lift w/Remotes. Copyright © 2019 Mid Florida MLS. All rights reserved. The data relating to real estate for sale on this web site comes in part from the Internet Data Exchange Program of Mid Florida MLS. Information provided is for consumer's personal, non-commercial use and may not be used for any purpose other than to identify prospective properties consumers may be interested in purchasing. 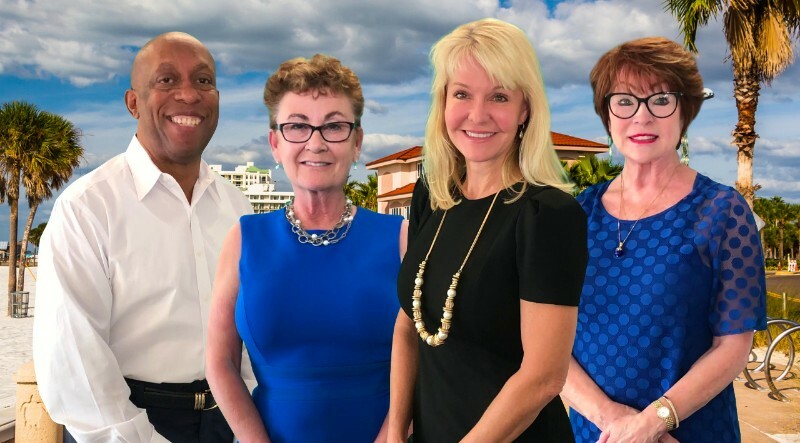 Beach Island Group participates in the MFRMLS Internet Data Exchange (IDX) program, allowing display of other MFRMLS broker's listings on this site. However may not include all listings currently available. Information is deemed reliable but not guaranteed. Information last updated at 2019-04-19 21:55:51.